The all-new Nevo GT/GH/GX series leaves nothing to be desired. Described by Riese & Müller as 'simultaneously sport and resolute,' they have truly delivered with this new iteration of the Nevo. Check out the various models below, and don't hesitate to call us with any questions! GT. 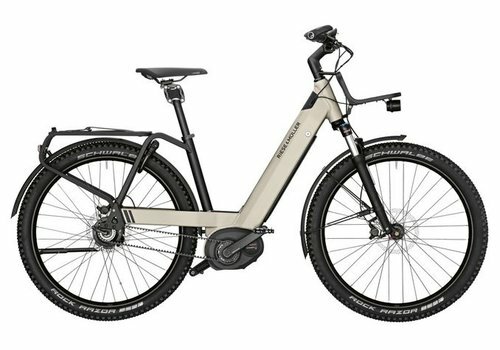 'Gran Turismo' - comfortable e-bike riding. Perfect on roads or light terrain for day-to-day riding, touring and traveling. GH. All components at the contact points are even more stable and designed for a permissible total weight of 160kg / 353 lbs. 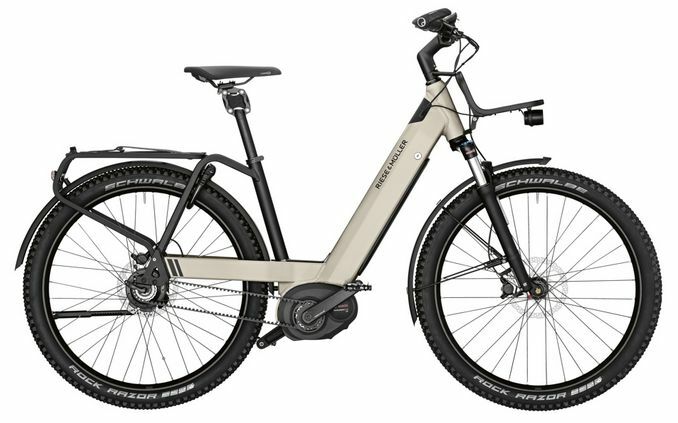 An e-bike for every situation and rider. GX. Pure riding fun in light terrain with gravel, sand and dirt tracks. Also suitable for all-round and road riding. Vario. Equipped with the Enviolo continuous hub gear and Gates carbon belt drive. The ideal touring bike, with all the bells & whistles (and speed!). 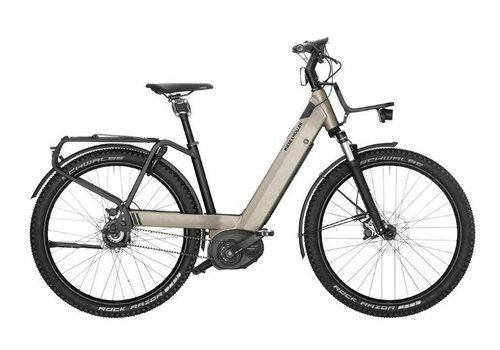 Ride in luxury with the robust Rohloff E-14 electronic 14-speed hub gear and Gates carbon belt drive. 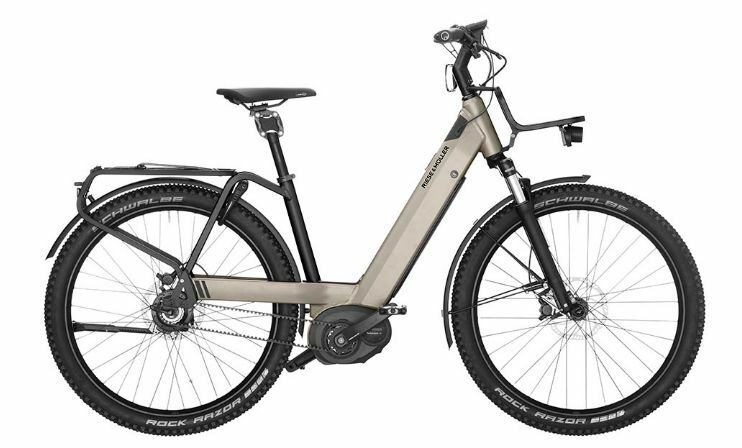 The ideal touring bike, with the luxurious Rohloff E-14 electronic 14-speed hub gear and Gates carbon belt drive for the ultimate in smoothness and reliability. Sporty, reliable and elegant. 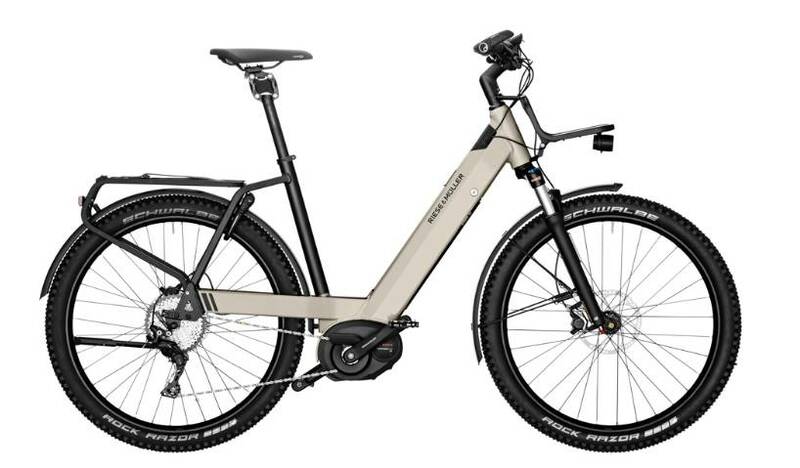 With wide Rock Razor tires, the Bosch Performance Speed motor and hydraulic Magura MT4 disc brakes, this bike is equipped for everything. Power up steep climbs and ride smoothly on any terrain with wide Rock Razor tires, the Bosch Performance CX motor and hydraulic Magura MT4 disc brakes on the Nevo GX Touring. With the optional DualBattery technology now available in the Nevo GT series, this is an ideal touring bike. Low center of gravity, sporty look and great performance. 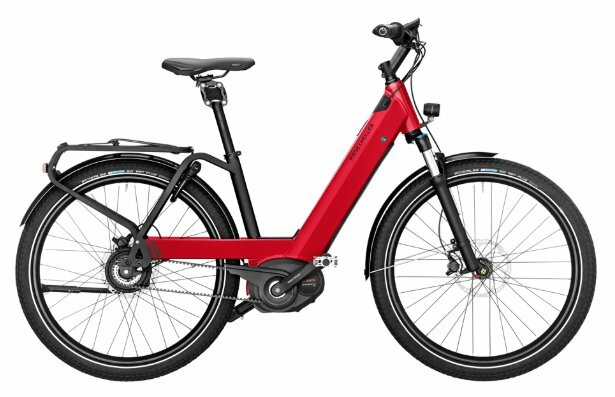 The e-bike for any situation and rider. Designed with stability in mind, the Nevo GH Vario has a permitted overall weight of 353lbs. Sporty, elegant and great value. 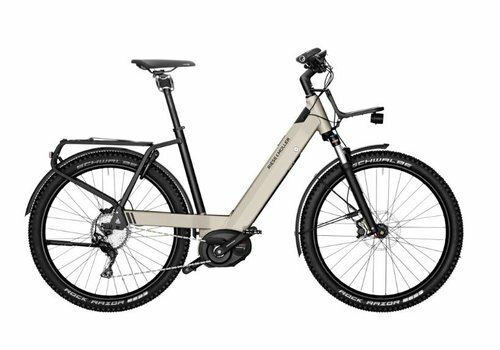 Cruise through the city and the country with the Bosch Performance CX motor, Shimano Deore 10-speed derailleur and Magura MT4 hydraulic disc brakes. Sporty, functional and comfortable. 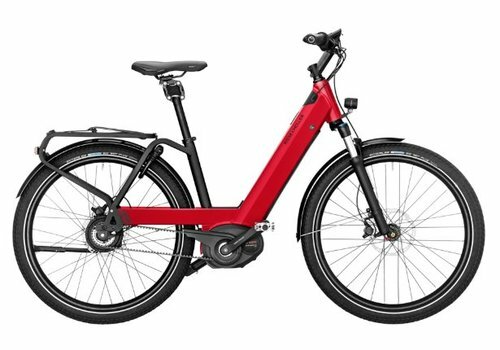 Just like the Nevo GT Touring, but with the Bosch Performance Speed motor for assisted speeds up to 28mph.